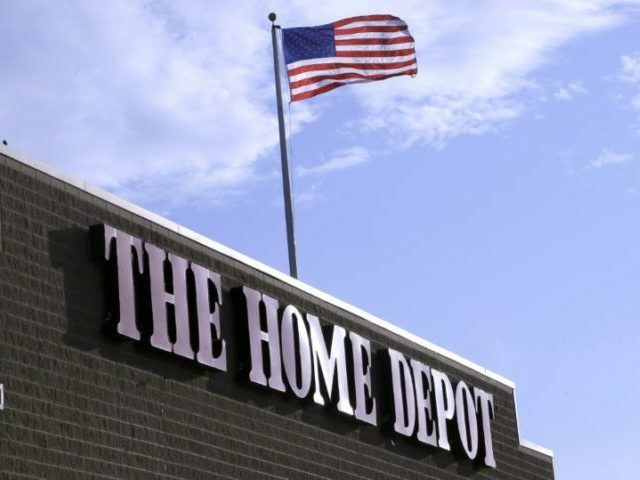 Home Depot Inc. announced its second-quarter earnings on Tuesday, exceeding Wall Street’s expectations as the U.S. housing market and strong economic outlook continue through August. The home improvement supplies retail giant reported a $3.51 billion profit, amounting to $3.05 per share – beating forecasts of $2.84 by Zacks Investment Research. The Atlanta company’s revenue grew to $30.46 billion from $28.11 billion, beating analyst’s projections of $29.98 billion. “It also said the average shopper’s ticket jumped 5 percent to $66.20 and customer transactions were up 3.1 percent overall. Home Depot sales have accelerated more broadly thanks to a strong housing market in the U.S. and economic tailwinds. Consumer spending on home improvement items hasn’t fluctuated as much as on apparel,” CNBC reports. Same-store sales jumped 8.1 percent in the U.S. and 8 percent globally. “If you are a homeowner and your home is continuing to go up in value, you feel much more comfortable investing back in that home,” said Oppenheimer analyst Brian Nagel. Home Depot now forecasts revenue to grow approximately 7 percent in 2018, up from previous projections of 6.5 percent, with same-store sales inching higher to 5.3 percent from 5 percent for the year. The home improvement supplies retail giant’s market cap has grown to $223.9 billion, with its share price jumping nearly 25 percent since last year. “Not only did our seasonal business rebound from the first quarter, but our overall results exceeded our expectations,” CEO Craig Menear said in a statement.